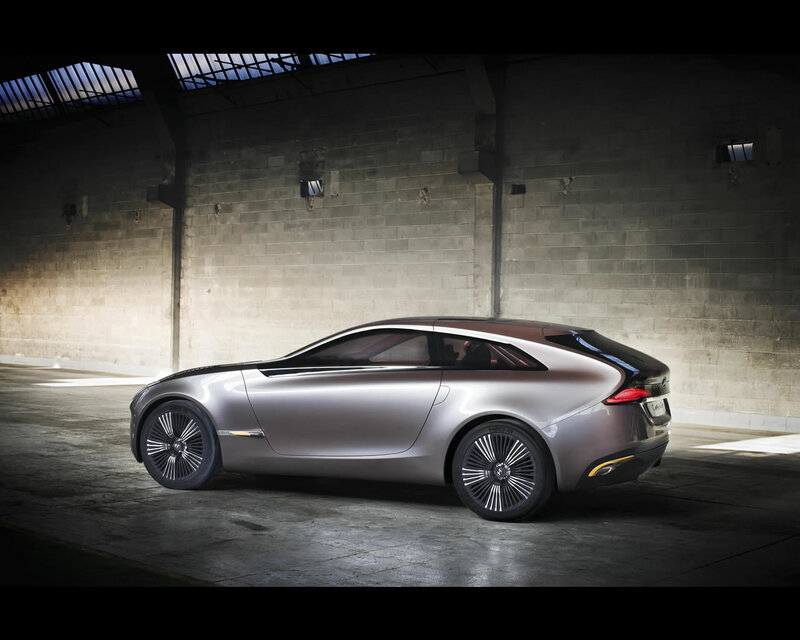 The 4,4 meters long i-oniq is an electric sports hatchback with a range-extending petrol engine. 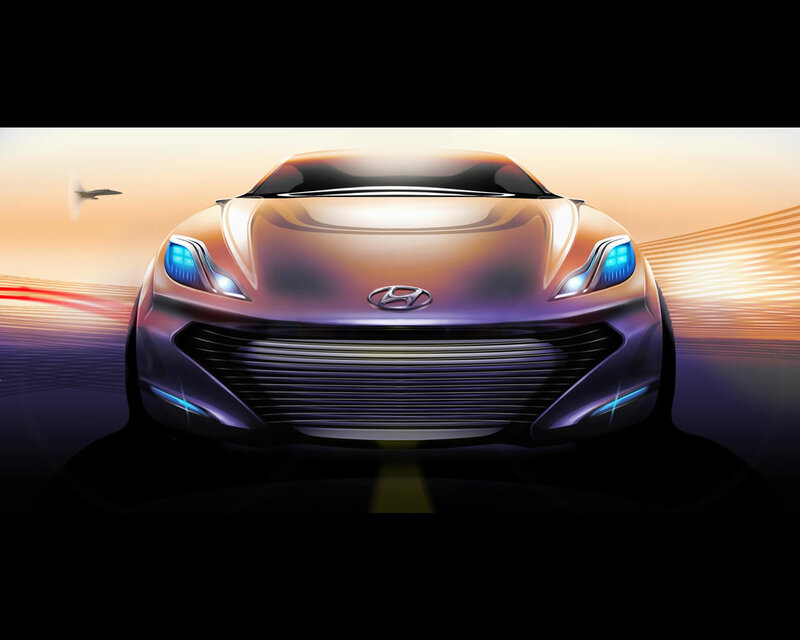 Intended to convey the latest thinking from Hyundai’s designers and engineers, the i-oniq evolves the company’s fluidic sculpture form language and represents bold ‘New Possibilities’ with its futuristic powertrain. 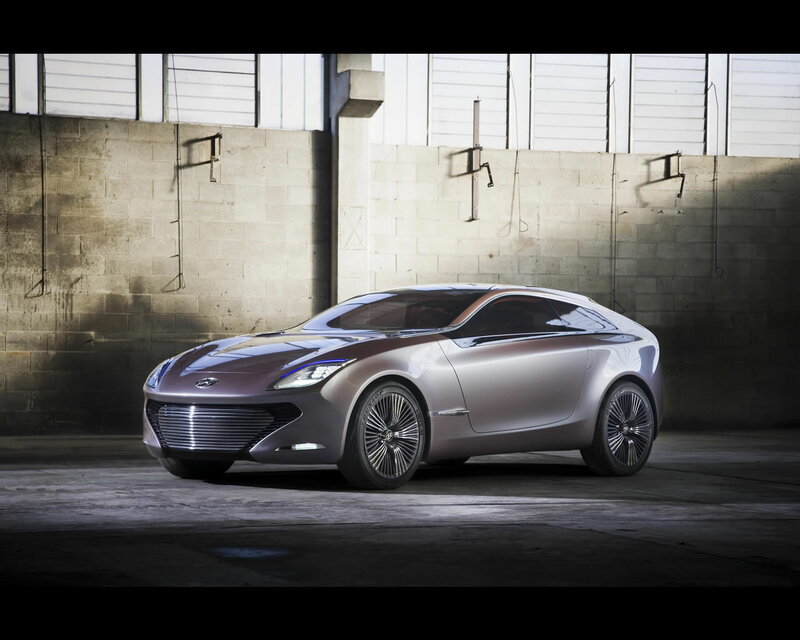 The i-oniq concept car, designed and developed at Hyundai’s European R&D centre in Germany, is an evolution of the company’s signature design language, fluidic sculpture. The roof is a unique design solution that ensures great space for rear passengers and contributes to the overall dynamic appearance. 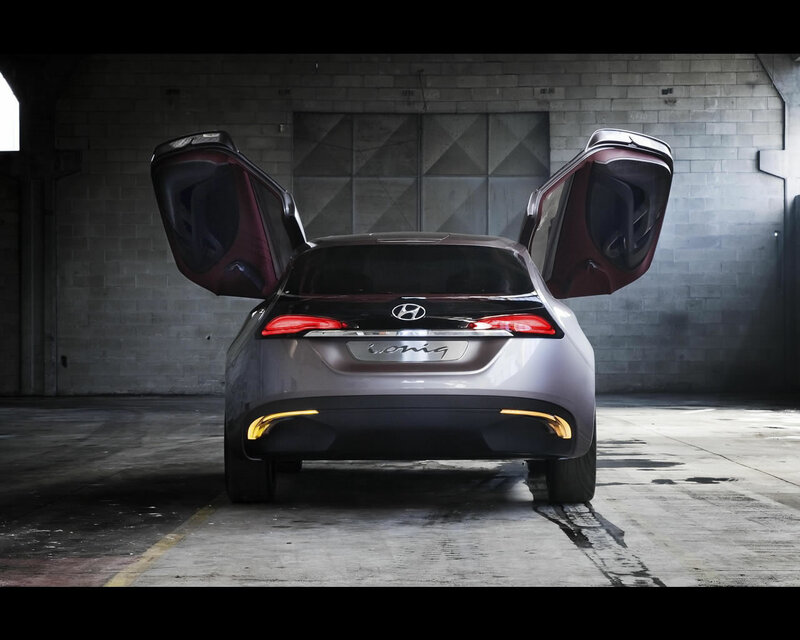 The car’s doors open up to the side: innovative, weight-optimized door and seat kinematics make entering the car’s front and rear seats a simple manoeuvre. Fittingly for a sporty hatchback, the cabin layout is driver-oriented, with the dashboard and centre-console geometry based around the driver. 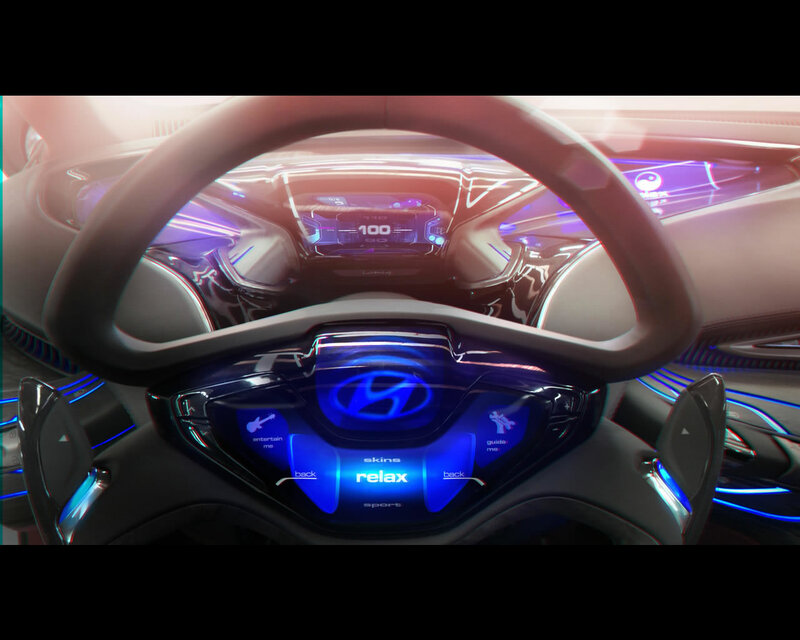 The user-interface components reflect contemporary and future consumer electronics technology such as movement control mounted on the steering wheel, floating instrument cluster with multi-layered projection, and a large background display for navigation, entertainment and other information. The rear cabin area has been designed as a ‘cosy lounge area’ to ensure maximum occupant comfort, creating a positive contrast to the sports-orientated front area. 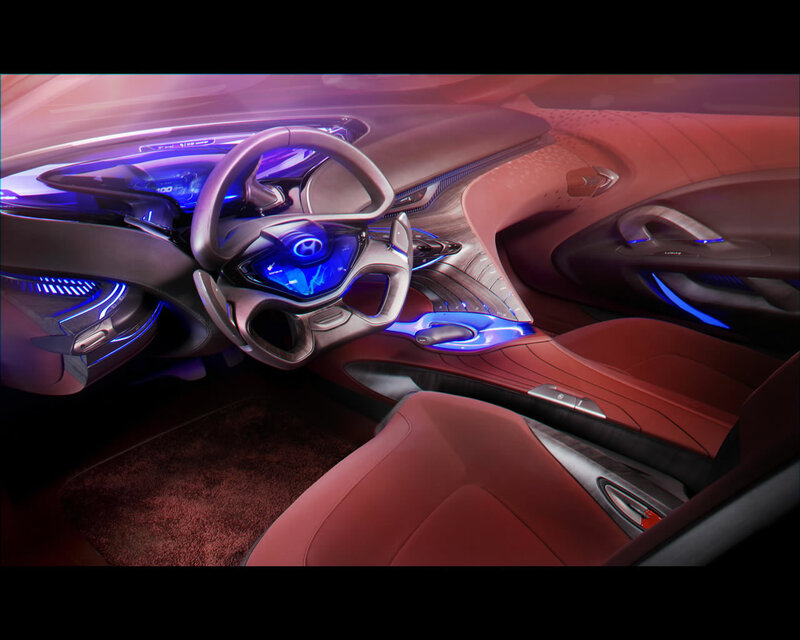 Use of luxurious interior materials, as well as futuristic interface components, further expresses the evolution of fluidic sculpture within the car. 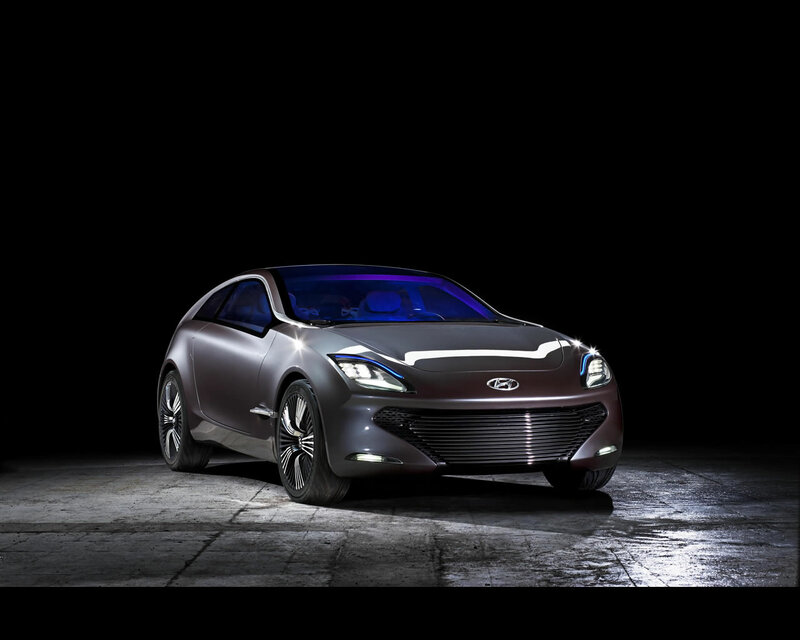 The i-oniq is powered by an innovative 1,0-litre, 3-cylinder petrol engine generating a maximum of 45 kW (61 ps). This unit is mated to an 80 kW (109 ps) lithium-ion electric motor which is powered by a 55 kW generator, via a single ratio gearbox. In electric-only mode, i-oniq can travel 120 km (74 miles) and up to 700 km (435 miles) with the assistance on the petrol engine, emitting only 45 g/km of CO2 emissions. 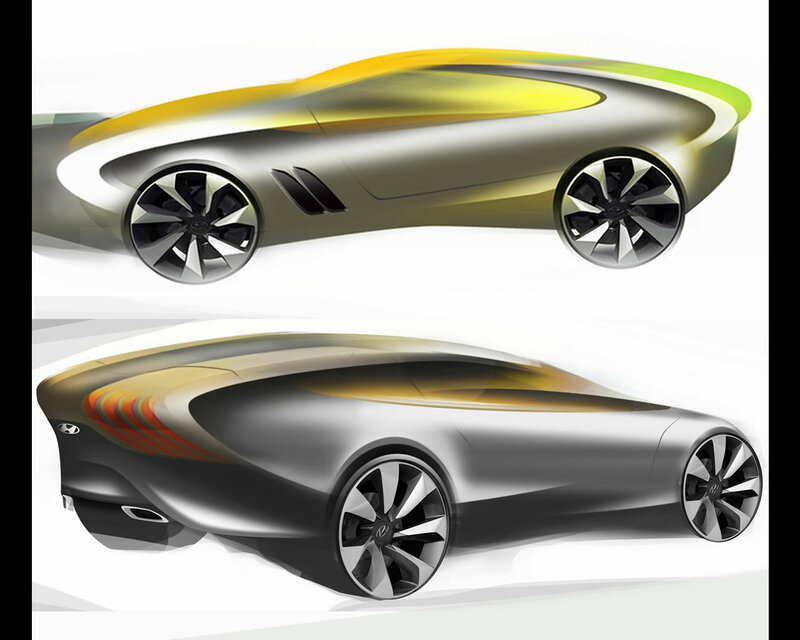 The concept can reach a top speed of 145 km/h.